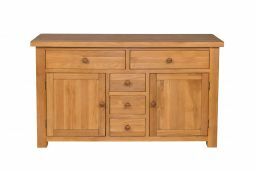 140cm premium oak sideboard from the Country Oak range. 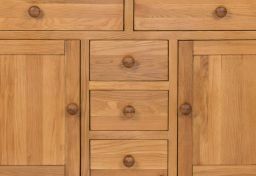 New oak design with natural oak handles. 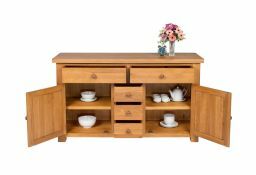 This is one of the most beautiful looking oak sideboards that we offer in this farmhouse design and is made from sustainable American oak and has dovetail joints on the drawers. 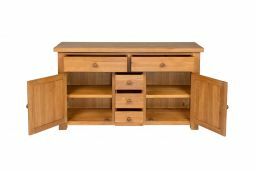 Fresh new design to match the Country Oak range of home furniture. 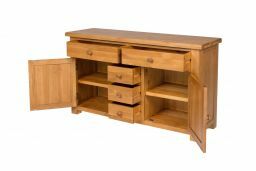 Please ask if you need any help or advice regarding what items match well together. 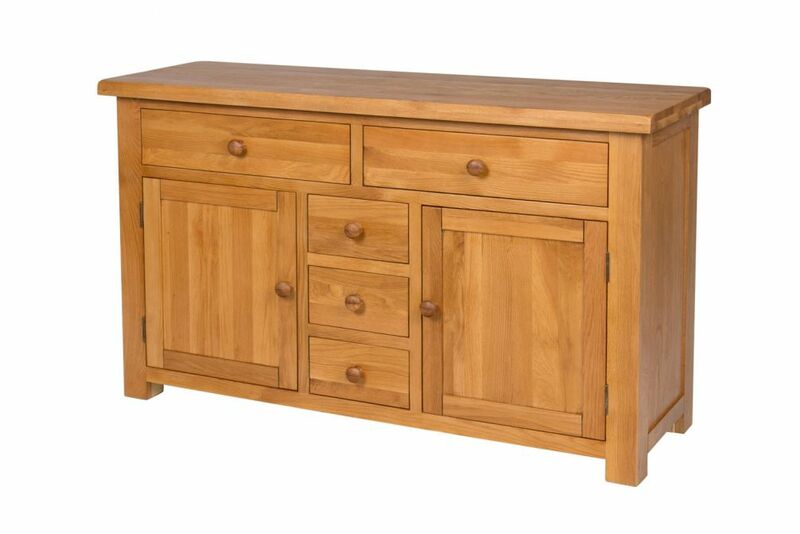 Beautiful solid sideboard throughout. Arrived fully assembled and well packaged. Delivery was exactly as arranged. 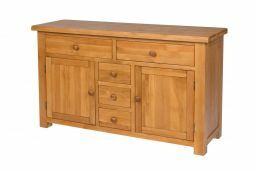 Would recommend sideboard and service. 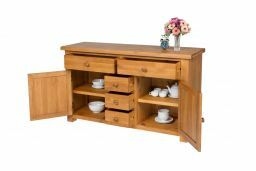 Beautiful piece of furniture, solid and looks Fab. Great fast delivery and good communication.